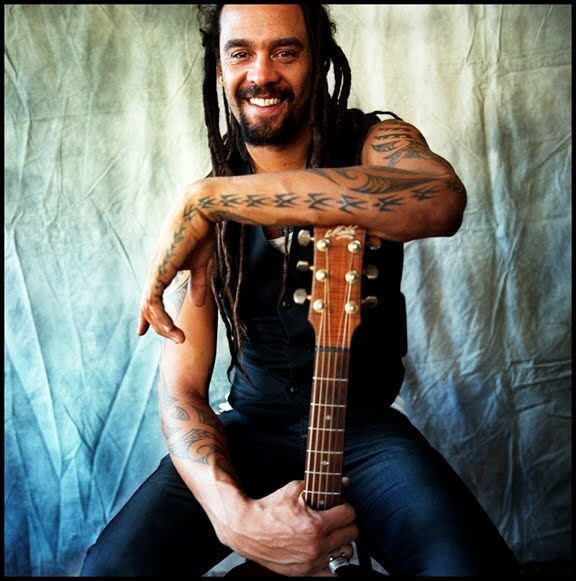 Last spring, I saw Michael Franti & Spearhead open for John Mayer in Greensboro. Franti put on a killer show. His music and lyrics are uplifting, but he's not afraid to talk about real problems of poverty, gangs, etc. It is clear that the audience matters to him, not only when he opens the stage to any kids who want to come dance to his hit single "Say Hey" but also when he runs through the crowd with his guitar, singing and playing (which was cool in the Greensboro Coliseum, but cooler for my mom and sister when they saw him in the smaller Neighborhood Theatre in Charlotte--they actually got to high-five him). Franti's music defies and crosses genre barriers. He is a vocal supporter of a number of social justice issues. He's a vegan and hasn't worn shoes in ten years. 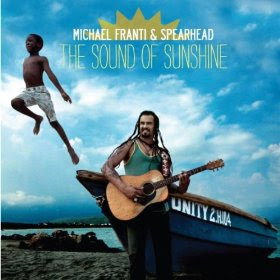 The son of an Irish-German-American mother and an African-American and Native American father, Franti was adopted by a Finnish-American couple and raised with their 3 biological children and another adopted, African-American brother. His music reflects his diverse background and embraces cultures beyond his heritage. Franti also made a film, I Know I'm Not Alone: A Musician's Search for the Human Cost of War, in which Franti travels to Iraq, Israel and Palestine with a few cameras and a guitar. Franti was tired of seeing news reports on the conflict that paid no attention to the humanity behind it. So he basically went to play music in the streets and to hear people's stories. So...Michael Franti is pretty freaking amazing. I started this post to recommend his latest CD, The Sound of Sunshine, and got a little distracted. Back on task. Just for good measure, here's a 5-second video clip I took at the concert last March--a little girl who joined Franti for "Say Hey" and was so into it that he gave her the mic. Adorable.